The recipe was adapted from one that appeared in The New York Times many moons ago, which itself was adapted from Entertaining in the French Style by Roger Verge (Stewart Tabori & Chang, 1986). Combine the flour and 1/2 teaspoon salt in a large bowl. 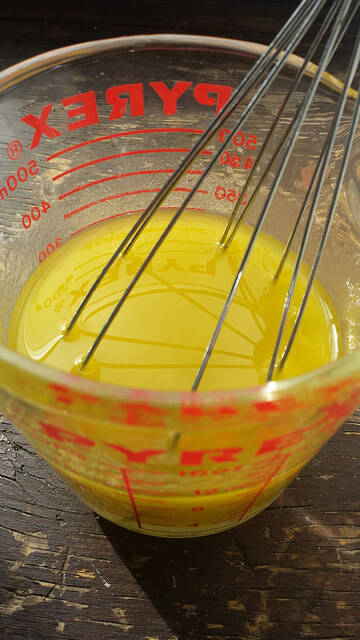 In another bowl, combine 1/2 cup of water and the olive oil. Beat with a fork or whisk until well combined and frothy. Pour the oil mixture into the flour mixture blend. 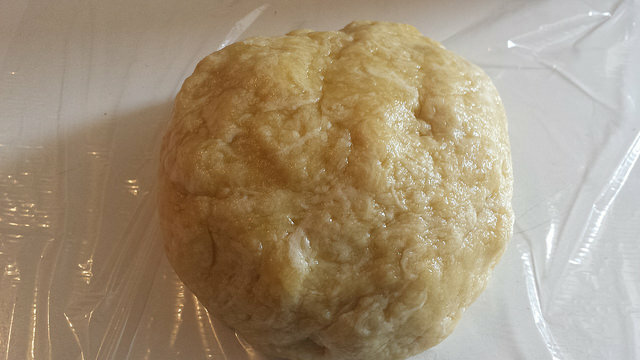 Gather the dough into a soft ball, wrap it in plastic and refrigerate for at least two hours. 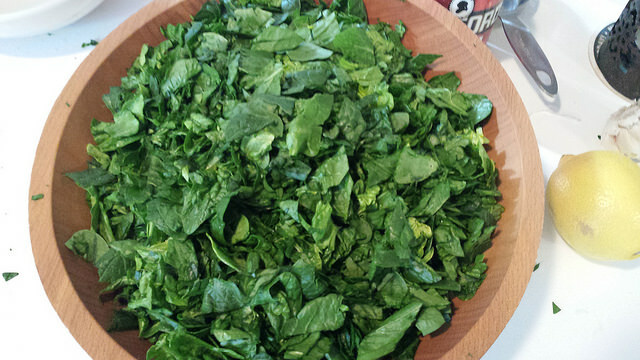 Trim the spinach leaves from the stems, rinse well, dry, coarsely chop, and set aside. Heat 2 tablespoons of olive oil in a large pan over medium heat and add the onion. Saute until lightly browned, about 10-15 minutes. 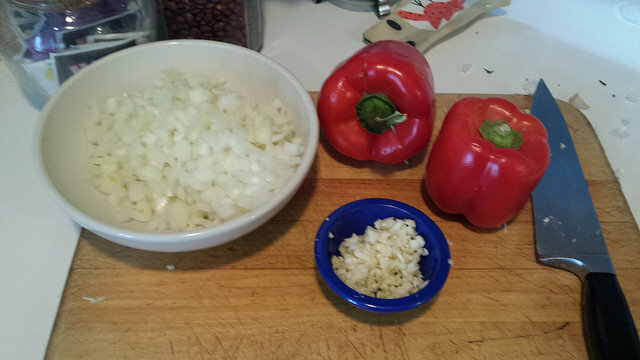 Add the garlic and continue cooking another few minutes until fragrant. Add the spinach, salt, and cayenne pepper and cook for about 8 minutes. Scrape the spinach mixture into a small bowl, stir in the olives, and set aside to cool. In the same frying pan, without adding additional oil, add the red pepper strips, saute until lightly browned, and set aside. Roll out the dough onto a large cookie sheet, abut 1/4 inch thick. Roll the edges forward to form a low boarder. Spread the spinach mixture evenly over the dough. Arrange the red pepper strips in a basket pattern over the spinach. Bake on the center rack of a 375 degree oven for 30 minutes. Check to make sure the top has not overly browned. Reduce the temperature to 350 degrees, if necessary, and bake until the crust is brittle and well browned, another 15 to 20 minutes. Cool slightly, cut into 2 inch wedges, and serve as an hors d’oeuvre. 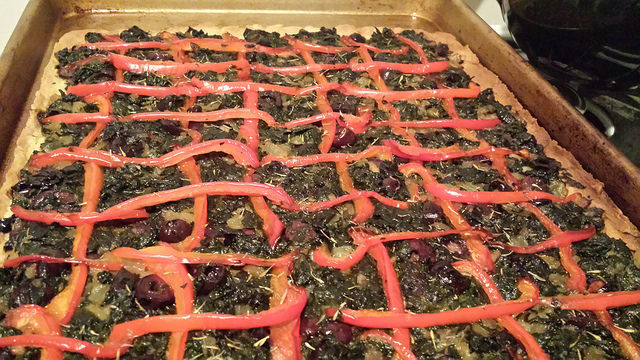 This entry was posted in appetizers, vegan and tagged pissaladiere, spinach. Bookmark the permalink.